Facebook and Google have teamed up together with 17 French news organisations to weed out the problem of fake news. This is through Google’s “CrossCheck” initiative which is launched by its News Lab arm. The initiative is headed up by First Draft News a non-profit coalition in June 2015 to raise awareness and address challenges relating to trust and truth in the digital age. It also lists Google News Lab as one of its founders. Partnering news organisations include AFP (Agence France-Presse), BuzzFeed News, France Médias Monde (via les Observateurs de France 24), France Télévisions, Global Voices, Libération, La Provence, Les Echos, La Voix du Nord, Le Monde, Nice-Matin, Ouest-France, Rue89 Bordeaux, Rue89Lyon, Rue89 Strasbourg, Storyful and StreetPress. According to an article confirming the formation of CrossCheck, the coalition said that the initiative “brings together expertise from media and technology industries to ensure hoaxes, rumours and false claims are swiftly debunked, and misleading or confusing stories are accurately reported”. It added that the French presidential election is its current focus and the CrossCheck initiative will encourage the public to participate through the submission of questions and links from disputes sites and social content for investigation. The Q&A will listed and answered on the CrossCheck website. The initiative was designed following consulting with local and national newsrooms in France. Marketing has reached out to Google and Facebook on whether or not this initiative will be extended to the APAC region. This is not the first time both tech giants have taken a stand against fake news. 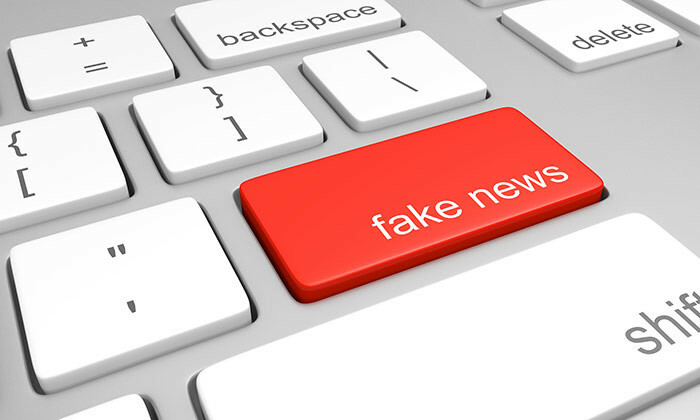 In November last year following the impact of misinformation fed by fake news sites on the recent US presidential elections, Google and Facebook declared that they would block advertising revenue to fake news sites which mislead online users. Google recently took a hard stand against fake news sites. Just last year it took down 1.7 billion ads that violated its advertising policies and this was more than double the amount of bad ads it took down in 2015. Some of the most common bad ads Google found online are ads promoting illegal activities or products. According to a Google spokesperson, the company has updated its publisher policies and now prohibits Google ads from being placed on misrepresentative content, just as it has disallowed misrepresentation in its ads policies. Facebook also took a similar stance according to AFP in an article found on The Straits Times, where a spokesperson shared that the social media giant does not display ads into applications and web pages with content which is illegal, deceptive and misleading – this includes fake news. It has since updated its audience network policy to explicitly clarify that this applies to fake news. Global adtech firm BlisMedia has appointed Nick Ballard as managing director for Australia and New Zealand. ..